The Japanese branch of Warner Bros has been investing for quite some time in the mainstream Japanese movie industry, mainly through the distribution of Takashi Miike’s and action films based on manga. In that fashion, the “Death Note” franchise was an obvious choice, as one of the most commercial of the last decades. 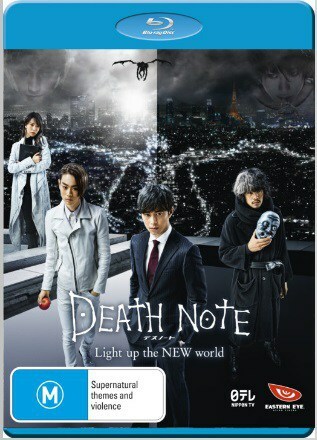 “Light Up the New World” takes place ten years after the events of “Death Note 2” and follows “Death Note: New Generation” in terms of theme. King Shinigami seems to consider the mayhem spread by Yagami Light delightful, and has scattered six new notebooks around the world. Unavoidably, the bodies start piling up again, and the Death Note Task Force is resurrected once more. As new Shinigamis appear along the new owners of the notebooks, chaos is being spread in even worse terms than before, particularly after a number of smart devices are hacked to present a message from the deceased Kira. At the same time, key members of the task force like Tsukuru Mishima and Ryuzaki, seem to have agendas of their own. Shinsuke Sato directs an edition of the concept that looks and functions much like a Hollywood production. In that fashion, the script is taken to extremes, with a number of characters using the Death Notes as direct weapons, killing anyone in their path. This tendency finds its apogee in two scenes, the one with Sakura Aoi and the other when Misa reappears to take revenge for Light. Furthermore, the secret agendas of both the aforementioned and the new and old shinigamis present a number of twists that push the script even more, while they also induce it with a sense of melodrama. Sato’s direction, however, manages to bring the abundance of story elements together through a very fast pace, which, along with the use of music, makes the film function as an intense music video, quite frequently. The element, upon which the movie thrives though, is definitely its visuals. Taro Kawazu had a very large budget in his hands, and he implemented it wonderfully to present a number of impressive action scenes, where the camera moves frantically, and in combination with the astonishing SFX, manages to present a visually extravagant production. This trait finds its apogee in the two aforementioned scenes and the presence of the Shinigamis, who are more than imposing. Furthermore, the use of many different locations and extras heighten this elaborateness even more. The film wanted to give the audience as much as they wanted through the story, and the casting moves in the same direction. In that fashion, Tatsuya Fujiwara and Kenichi Matsuyama, who played Light and L in the previous films are still here, although remotely, while Erika Toda as Misa has a small, although actual role in the film. Masaki Suda holds a key role, while Masahiro Higashide as Tsukuru and Sosuke Ikematsu as Ryuzaki hold the protagonist roles and perform them with an occasional hyperbole that suits the film’s aesthetics completely. 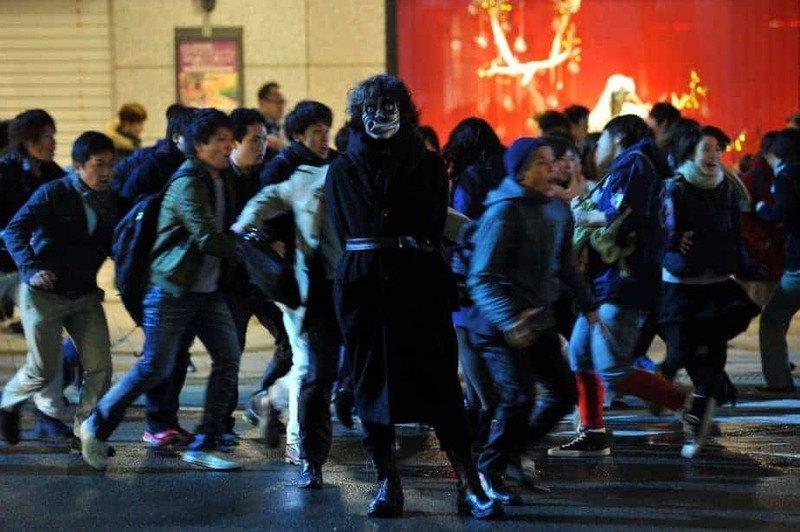 “Death Note: Light Up the New World” is now more a Hollywood blockbuster than a Japanese movie, but this seems to have benefited the film, particularly regarding the production values.